Our lettuce seems to be growing a little slow this season. I think my spacing might be too close to get nice heads of lettuce, so last week I went through and thinned out some of my smaller lettuce plants in each row. 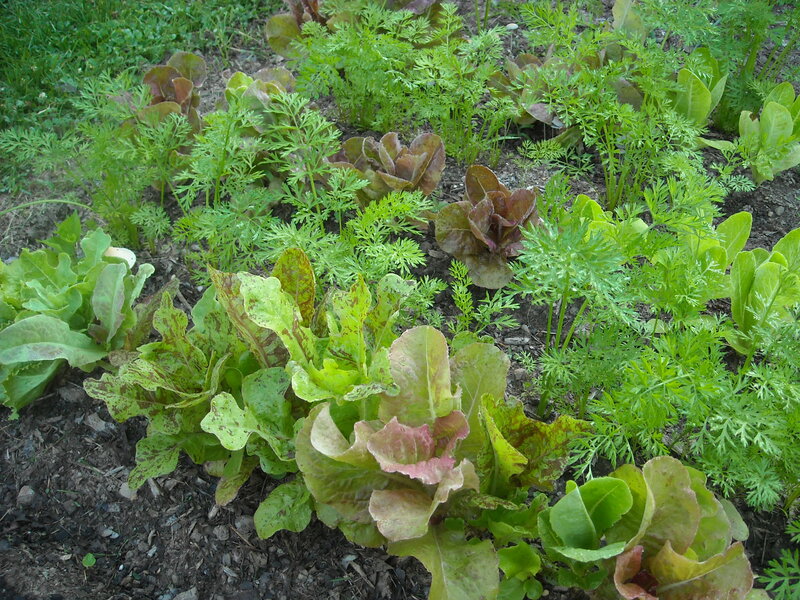 I am hoping by thinning out my lettuce, I will get some nice full heads of lettuce. 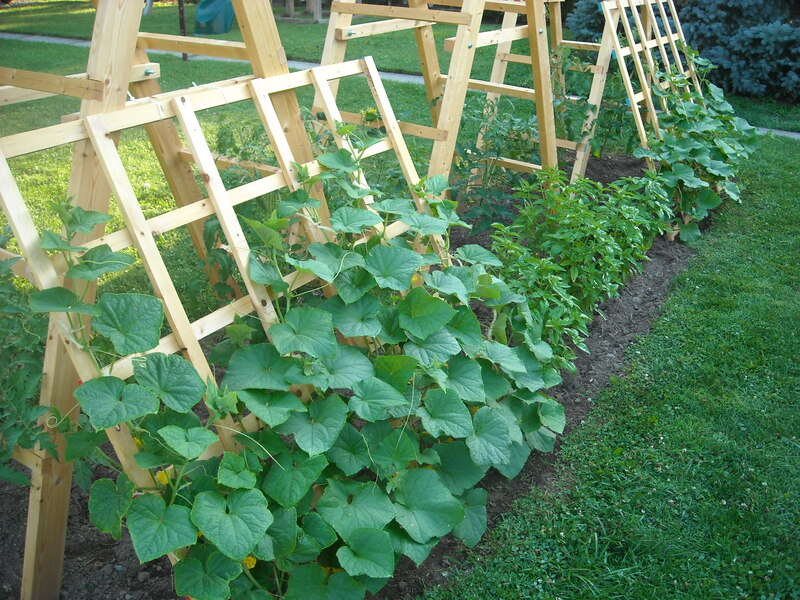 The cucumbers really like the trellis, they are growing like crazy. I see pickles are in the near future. The basil growing between the cucumbers is also looking really good, it will soon be time to take the first harvest of the year. 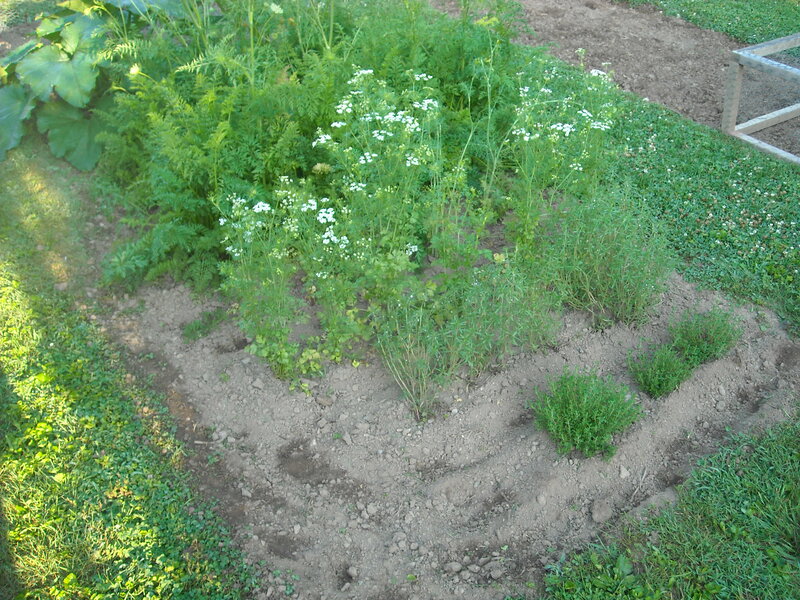 The dill, cilantro, summer savory, and thyme are also looking good. The sugar snap peas are coming to an end. For the last few weeks we have been enjoying sugar snap peas with almost every meal, we even had a few extras to freeze. 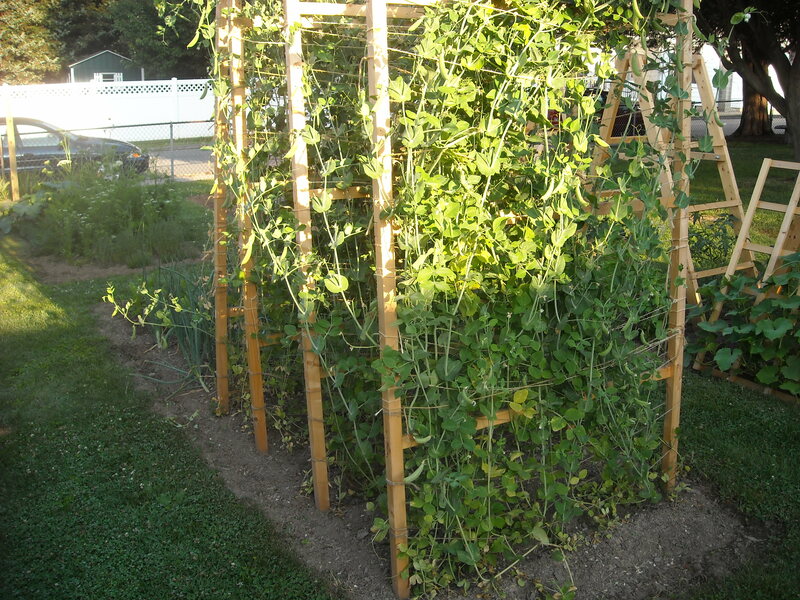 I will be leaving the last few peas on the plants to mature and dry back, so I can save some seeds for next season. I will talk in more detail in a future post about saving sugar snap pea seeds. 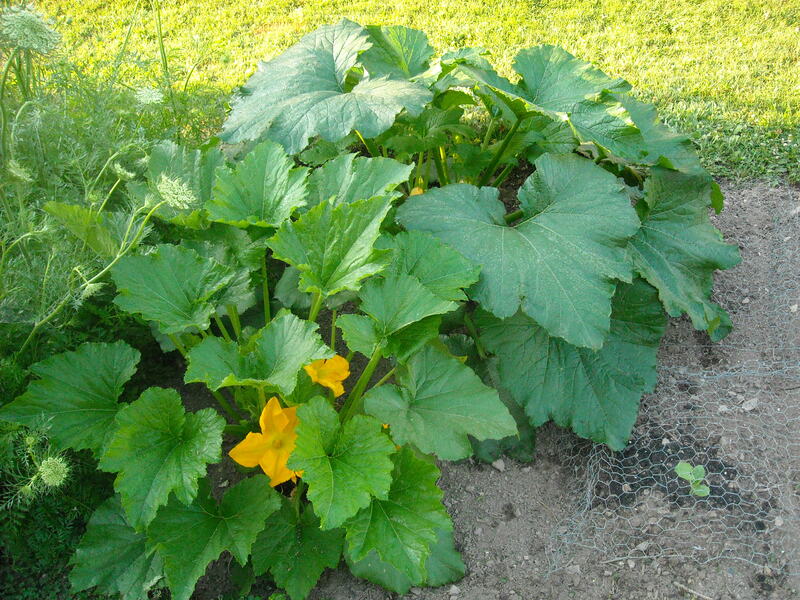 The zucchini plants are getting really big, we should be able to start harvesting in the next few days. The pepper plants have really grown a lot in the last few weeks. I also have a little swiss chard growing at the end of this plot. It looks like the summer harvest season is fast approaching. 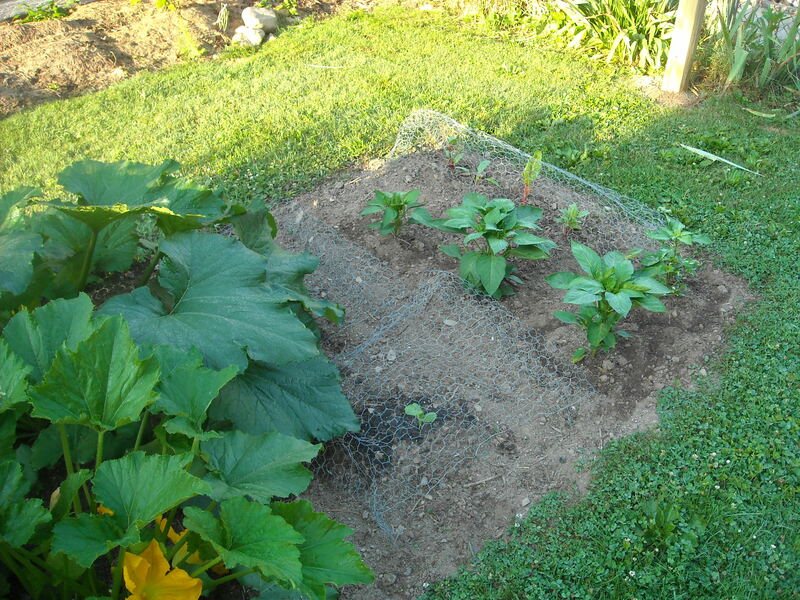 This entry was posted in Plants and tagged Backyard gardening, gardening, Homesteading, Organic gardening, Urban Gardening, Vegetable Garden by M Riland. Bookmark the permalink.